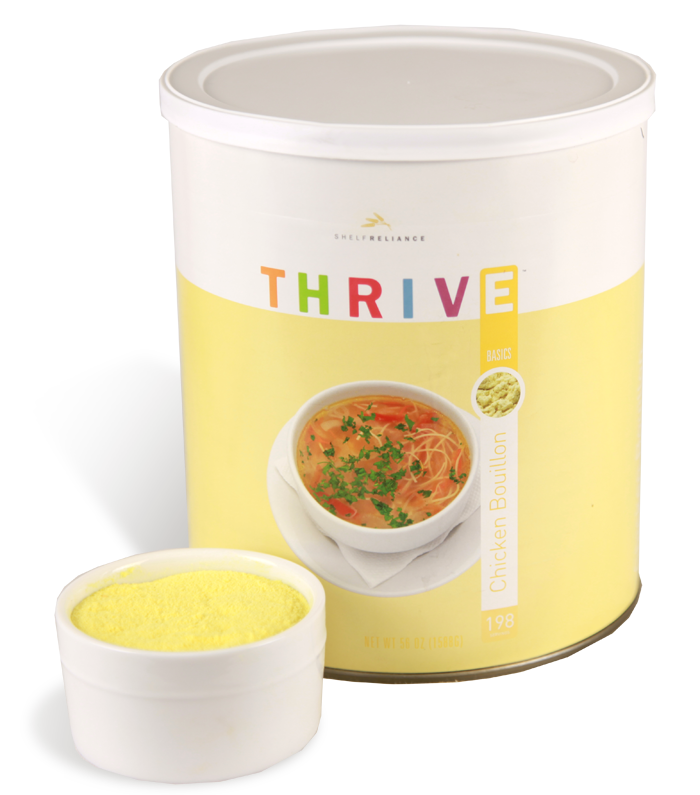 You'll love the addition of Thrive Chicken Bouillon to all the chicken-based soups you serve. There's nothing quite like the comfort of a homemade recipe when you're feeling under the weather, and this #10 can features chicken bouillon granules that will help you make a quick, easy, and comforting soup for yourself or for loved ones. Add this gluten-free, vegetarian blend to hot water for use in rice or pasta dishes. Enjoy the homey goodness of Thrive Chicken Bouillon in your food storage! Maltodextrin, salt, autolyzed yeast extract, vegetables (carrot, celery, garlic, onion), natural flavor, turmeric extract and spices. CERTIFIED GLUTEN FREE (pouches excluded) PROCESSED IN A FACILITY THAT HANDLES MILK, EGG, SOY, WHEAT, AND TREE NUT PRODUCTS.